Mandrel-bent from 7/8″ -OD, 4130 tubing, this loop features a narrower size: 6″ wide (for greater seat clearance) by 11″ tall. Designed to meet NHRA requirements, it fits 3″ -diameter driveshafts. Use this loop as a second driveshaft loop forward of the main crossmember that mounts the forward end of your ladder bars or 4-link. It is installed in the x-bracing of the floor and within 6″ of the driveshaft front U-joint. 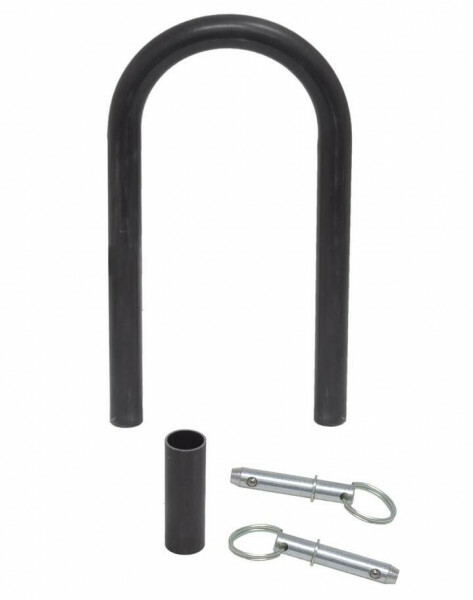 The quick release pins release the hoop for removing and installing the driveshaft. It's clever design also supports our shifter platform.